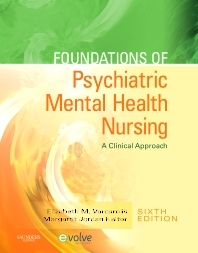 The 6th edition of this market-leading textbook offers a clear, straightforward way to understand the often intimidating subject of psychiatric mental health nursing. Its practical, clinical perspective and user-friendly writing style help you quickly master key concepts. Clinical chapters follow the nursing process framework and progress from theory to application with a wealth of real-world examples to prepare you for practice.